Hyperbaric medicine, also known as hyperbaric oxygen therapy (HBOT), describes the use of 100% oxygen at higher than normal pressures in order to speed up the recovery from certain injuries and to improve the body’s ability to heal from a variety of conditions. The helpfulness of HBOT lies in its ability to produce much greater amounts of oxygen in the tissues of the body. 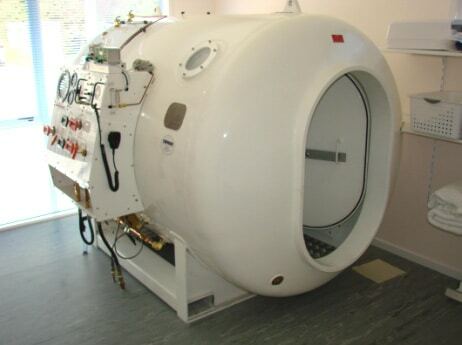 The increase in pressure of oxygen with HBOT is a lot higher than breathing pure oxygen at normal pressure and up to 15 times higher than breathing air. It is this increased saturation of oxygen in our body tissues that can accelerate the natural healing process. The use of HBOT around the world is rapidly becoming more popular as the benefits are better understood and research is carried out on new applications. Our facility brings together experienced and highly skilled staff with custom-built, state-of-the-art equipment. We have a contract with ACC for the treatment of chronic leg and foot ulcers caused by trauma, which covers the full cost of treatment.